that you'll meet the person you love and loves you in return. the chance might never come your way again. than to lose the one you love because of pride. perfecting the love we give. # B lessings are the things we take for granted. E ach holiday we notice what we see. Y et walk through life and love mechanically. A fter days and nights of fantasy. E nveloping our hesitance in need. T ransforming all the hieroglyphs we read. E mbracing the grey dawns that blessings bring. # There are times when I fall in love with someone new, but I always seem to find myself back in love with you. # I wish my eyes could speak what my heart feels for you, coz my lips can lie on what is true. My eyes couldn't coz even if I close them I could still see you. # When we are apart, time goes very slowly. A second feels like a minute. A minute feels like an hour. An hour feels like a day. A day feels like a week. A month feels like a year. # There's a warmth in my heart. It haunts me when U R gone. Mend me 2 ur side and never let go. The more I live The more I know, wat's simple is true, I love you. # Sometimes my eyes get jealouse of my Heart! You Know Why? 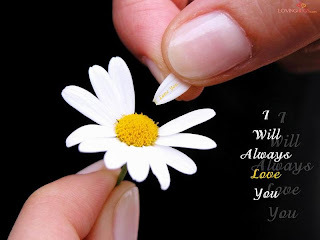 Bcoz.. you always remain close to my HEART n far from my EYES. # Love is a sweet posion for true love..who kills the true lover slowly, slowly & slowly..
# Every second is a moment in time & I've experienced quite a variety of them.But none can ever surpass or be as important as a moment with you. # One beautiful heart is better than thousand beautiful faces!so plz look for beautyful minds not for beautyful faces.So, choose people having beautiful hearts rather than beautiful faces. # The one thing in life that hurts most is to know the one person you'd die to be with, could only be with you in heaven. # They say everybody is 1 time somebody's fool. Since u r so beautiful, warn & charming, what a lucky fool i am. # love its a pain there is no doctor that can explain it,it tackles the heart and affects the brain. # Don't luv the luv unless the luv luvs u & if the luv luvs u, luv the luv in such a way that it doesn't luv anybody else! My Brain is tired 2 think. Eyes r tired 2 see. Lips r tired 2 speak. Hands r tired 2 work. Feet r tired 2 walk. But my Heart is never been tired 2 loveng u. # In LOVE, very rarely do we win but when love is TRUE,even if you lose, you still win just for having the privilege of loving SOMEONE more than YOURSELF. Wish 4 " U "
and a life of mine that only you can complete. # If u really love somebody but he doesnt really love u even if it hurts u to let him go u should maybe next time u will have a better chance!!! # One day youll ask me: whats more important to you, me or your life? ill say my life and youll go and leave without even knowing that you are my life. i wrote your name in the sand but waves washes it away, i wrote your name in my heart but it will stay forever. # I am not a writer to write to beautiful words for U,Nor a poet to write Poetry on You. All I am is an ordinary man Who loves u XTRA ORDINARILY. # LOVE is something beautiful,a desire, a feeling that one would like to catch. LOVE is the feeling that makes you feel alive. LOVE is something that may never go away! # What is love? dont ask the person who loves some1 but ask the person who have lost some1. Ask my heart to stop beating..
Hurt but never keep d pain. # Laugh like U've never cried. Play Like U've never lost. Your undieng faith is what keeps the flame out of love alive. Your terrific sense of humor. You're the one who holds the key to my heart. Only the sweetest 1 receives my sms. Happy Valentine Day to My Best Friend. # Love deeply & passionately. U might get hurt but its the only way to live life completely. 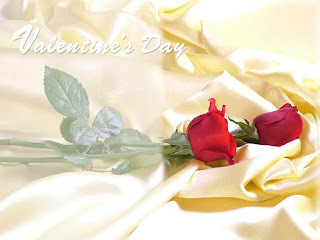 # I luv U more 2day than yesterday, but not so much as I'll love U tomorrow.Happy Valentine Day. # The modest Rose puts forth a thorn, the humble sheep a threatening Horn, while the LILY white shall in love delight, nor a thorn nor a threat stain her beauty bright. HAPPY VALENTINE DAY. # Whenever I talk to , I feel a whole lot happier, you just know how to lift up my spirit ... in a nutshell. I Feel lucky to have a friend like you! Happy Valentine's Day. # What the heart gives away is never gone, but kept in the hearts of others, from dusk to dawn. Love you from the core of my heart. Be my Valentine. I love you more today than I did yesterday, But not as much as I will tomorrow. Happy Valentine's Day!